Experience Wanted? Here's Where to Get It! You've got your new degree or training certificate in hand and now you're ready to take on a whole new career. But every job listed requires experience; and you can't get experience without getting a job. Yes, it's a vicious cycle. But, here are five ways to get off that hamster wheel and in the job you really want. Many military spouses volunteer in on-post and off- post communities. We jump right in and do anything and everything that needs to be done. However, if you are trying to gain solid work experience that can be documented and land you a job, then you'll need to try a more strategic approach to how you spend your volunteer your time. "Take on a project that is specifically and directly related to the skills you need for the job you want," said Laura Ledgerwood, career consultant at the University of Georgia. "For example, create a database, marketing materials or a new process for the organization." By creating something new, not only do you gain experience to list on your resume, but you may also be able to take credit for some of the key outcomes, which you should also include. Hopefully, you are a member of a professional or trade association that is in your career field. If so, step up to the plate and take a leading role. The next time committees are being formed for the board of directors, an event or a special project, volunteer as a chairperson or group leader for a committee. 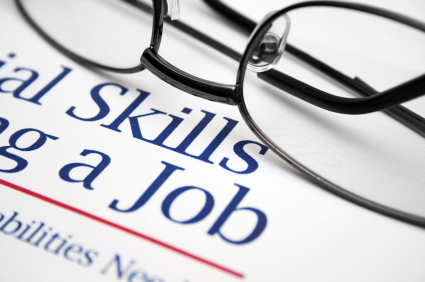 Doing so may allow you to gain the skills you need for your resume. For example, leading the marketing committee might offer you a chance to gain graphic design, writing or videography experience. And if that's the gap you need to fill, why not go for it? Employers with part-time or temporary jobs to fill may be more lenient with the level of experience they are willing to accept. These jobs give you a chance to "wear" the title on your resume and therefore may gain the attention of more employers hiring for the full-time gig you want. Internships and work-study jobs count in this category too. Check out your school's career services office, which extends job search help to students and alumni. How many times have you said, 'I could do that job,' and know without a doubt that you have the skills to do it? And yet, employers don't invite you in for an interview. It just might be your fault. But it is a problem that is fixable. "You have to put yourself in the hiring person's job," said Ledgerwood. "It could be that they see a lot of unrelated positions on your resume." This is common among military spouses who frequently relocate. However, it doesn't have to hinder the job search. "You have to build your own case. Show potential employers a pattern of your interests and describe how they are related to the job," she added. This tactic worked well for Army wife Staci-Jill Burney, engagement and international relations manager at the Department of Defense. "I really examine the vacancy announcements and use common language to show my experience and its relevance to the job I want. That often makes it easier to demonstrate my progression in the field," said Burnley. "I know it is up to me to prove that I am qualified for the job." Ask for new assignments at your current job to expand your knowledge-base. Burnley, who has worked as a reporter and editor, said there is no better safe place to sharpen and learn new skills than at your current job. "I learned photography to add pictures to my stories, she said. "Then, a co-worker taught me layout and design. Later, I picked up public affairs work and that led to my being a liaison for foreign students. That writing job became the cornerstone of how I was able to get a job in every place where we relocated. "Whatever you do, don't allow yourself to be defeated," Ledgerwood said. Defeat can easily become stagnation, but as long as you are doing something, you can keep documenting your experience and building your case to win the job your want.